Gheralta mountains, near Hawzen, Eastern Tigray, Ethiopia, 2017. Sergi Reboredo/ Press Association. All rights reserved. This October, French researcher René Lefort published his latest in-depth analysis of Ethiopian affairs on openDemocracy and Ethiopia Insight, focusing on the perils facing the reform process. The article elicited a critique from Messay Kebede ‘Separating the wheat from the chaff on Ethiopia’. This is the author’s response. I have carefully followed Messay Kebede‘s work for decades, and I am also a long-time acquaintance. I was therefore surprised by the form and the substance of his critique of my most recent analysis. As a researcher, I welcome criticism, with one important caveat: it must be based on a reasonable interpretation of what I have actually written, and certainly not on a distortion of my views. Let me give a few examples of where in this instance I believe Messay has failed this test. During the four weeks I just spent in Ethiopia, I met at length countless observers, experts, intellectuals, and current and former political leaders. They were overwhelmingly Ethiopian, but there were also plenty of foreigners during the weeklong International Conference of Ethiopian Studies in Mekelle that ended on October 5. In fact, except in Mekelle, all the Ethiopians were strong and long-standing opponents to the TPLF-dominated EPRDF government. I have known most of them for years, and we exchange views regularly, off-the-record, in full confidence. 1. “Lefort never says that these reforms (launched by Abiy) are necessary”. My article starts with: “Abiy Ahmed has already gone down in history by breaking—in just a few weeks—almost every rule in the age-old Ethiopian way of governing. His liberal reforms and diplomatic openings fulfilled the pressing demands of the vast majority of Ethiopians, and thus brought to a halt the infernal spiral into which the country was headed”. And a few lines later: “the salvo of reforms he fired off created the positive shock of which whole swathes of public opinion were dreaming”. I don’t know how I could have expressed more clearly how necessary these reforms are. I did not make a “charge” against Abiy for these actions. Reflecting the opinions I gathered, I pointed to the means of their implementation: “without any adequate preparation, without anticipating their effects, and therefore without being able to control their consequences.” If one proof of this haste is needed, the Oromo Liberation Front (OLF) is a case in point: it says it has never agreed to disarm, the authorities say the opposite. This is clear evidence of a lack of thorough preparation. 3. When I quote a key political leader saying “the power vacuum is abyssal”, Messay comments: “I thought for a moment that he (Lefort) was referring to another country”. Abiy Ahmed himself underlined “the chaos, the crisis, the conflict in the nation” At the EPRDF Congress, the final communiqué read “we are witnessing anarchy in the country”. Do chaos and anarchy exist in the absence of a power vacuum? This assertion is shared by all the people I spoke to, including some who have worked closely with the PM from the beginning of his rule. They diverge only on one point: for a few of them, Abiy had initially at least no other option but to bypass the party. 5. “His aim in characterizing legitimate claims (the Amhara claim for territories which incorporated into Tigray) as ultra-nationalism is to raise the spectre of Amhara expansionism so as break up the unity between ODP and ADP”. First, I don’t have any “aim” when I write my articles, other than to present the situation as I understand it. I don’t have any intention, right, or ability to interfere with, let alone alter, Ethiopia’s political course. In my view, the “ultra-nationalism” doesn’t affect the ADP only. I wrote, regarding “the radicalization of ethno-nationalist identities” (plural): “in the past, regional identities were basically affirmative. Now they are increasingly tainted with exclusiveness, if not vengefulness and even xenophobia.” That’s an unambiguous definition of ultra-nationalism. I agree with one of Messay’s criticisms only. The trend among Amhara political forces to be “expansionist” is, stricto sensu, right, because they want to expand some of the current borders into neighbouring regions. 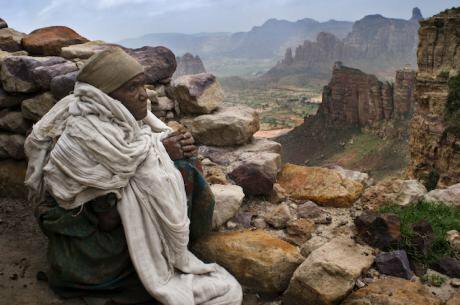 But they claim that these “territories were unjustly incorporated into the Tigray region”. To present a balanced view, I should have qualified this position as “expansionist” for those who reject that claim, and “irredentist” for those who support it. 6. The leitmotif of Messay’s critique is scattered throughout the article. He writes that according to me, the only way out for Abiy’s reformism to succeed is “through a return to the discredited hegemonic rule of the past… Neither the EPRDF nor the Ethiopian state can function without the guidance and the authority of the TPLF… Without the TPLF, the EPRDF is blind and ineffective… It is disconcerting to see a veteran student of Ethiopian politics promoting the previous ill of the country to the level of a remedy… As Lefort sees it, the solution to the leadership crisis responsible for the unrests and conflicts “engulfing” the country is an alliance between the ODP and the TPLF against the Amhara. He thus revives Meles’s old doctrine… Abiy must restitute the alignment of forces as it existed prior to his election, notably by giving the TPLF the prevalent position it had, as Lefort claims”. Let us start at the beginning. Messay wrote: “The EPRDF is the only path toward maintaining the unity of the country and consolidating it by means of democratic reforms.” I cannot agree more. I wrote: “Only a strong EPRDF leadership with an affirmed vision can give impetus and direction” (to the state machinery). I mentioned that “a dominant force emerging inside the EPRDF” would show that “the end may be in sight for the EPRDF leadership crisis”. But Messay claims that for me the solution to the ongoing crisis would be “an alliance between the ODP and the TPLF”. This is false: I did not use the word “alliance”, but “rapprochement”, which is quite different. Moreover, I did not say that “the guidance and the authority of the TPLF” would be necessary to make the state functional. I do not claim, as Messay alleges, that Abiy should give the TPLF the pre-eminent position it had in the past. What I wrote, which is radically different, is that – taking into account the current feebleness of the EPRDF leadership, the weakness of the ODP-ADP tactical alliance, the divisions among the Southerners—the TPLF could bring a meaningful reinforcement to “the emergence of a leadership that can gain credibility through a minimum of inclusivity and cohesiveness”, which in turn is necessary “to put back the party-state in a working order”; a condition sine qua non to respond to the most urgent need: re-establishing law and order. To do so, what would be crucially brought to the table by the TPLF is the expertise accumulated by the Tigrayan mid-ranking officials during two decades, which “cannot be replaced overnight”. Such experts are not decisions-makers, but are in charge of executing effectively the orders of the ruling party due to their competency. For example, those I have talked with underline that the current ineffectiveness of the National Intelligence and Security Service is essentially due to a hasty purge from top to bottom and the replacement of those fired by largely unqualified persons. This has nothing to do with “the guidance and the authority of the TPLF” or the re-establishment of “the prevalent position it had” that I am supposed to have requested. I underlined that ODP is “the pillar of the EPRDF” and that “the Oromo nationalist forces are now convinced that Ethiopia’s destiny is in their hands”. This is irreconcilable with Messay’s claim that I ask for the TPLF to regain its former dominance. According to Messay, I am advocating “a return to the hegemonic rule of the past” to prevent Abiy’s reformism from failing. Should it really be necessary to remind him that I have for decades denounced the hegemony of the TPLF, and explained that it was not sustainable and could only lead to turmoil? I presume it was for this stance that I was prevented from entering Ethiopia several times and even expelled last November. Again, how could I have expressed this point more clearly?